The ShelterLogic Max AP 10x20 6 Leg Canopy is America's #1 selling fixed leg canopy. This fixed leg canopy sets up fast making the perfect seasonal shade solution for decks, patios, driveway ports or any place temporary shade or protection is required. The Max AP 10x20 6 Leg is easily constructed by 2 people in less than 2 hours. Quick fit slip together tubing makes frame set up easy. Valanced cover attaches to the frame with ease using bungee cord fasteners. Max AP 10x20 is great for camping, commercial job sites, picnic areas, backyard events, pool or patio. It's a ShelterLogic Canopy and Extended Event Tent all in 1! 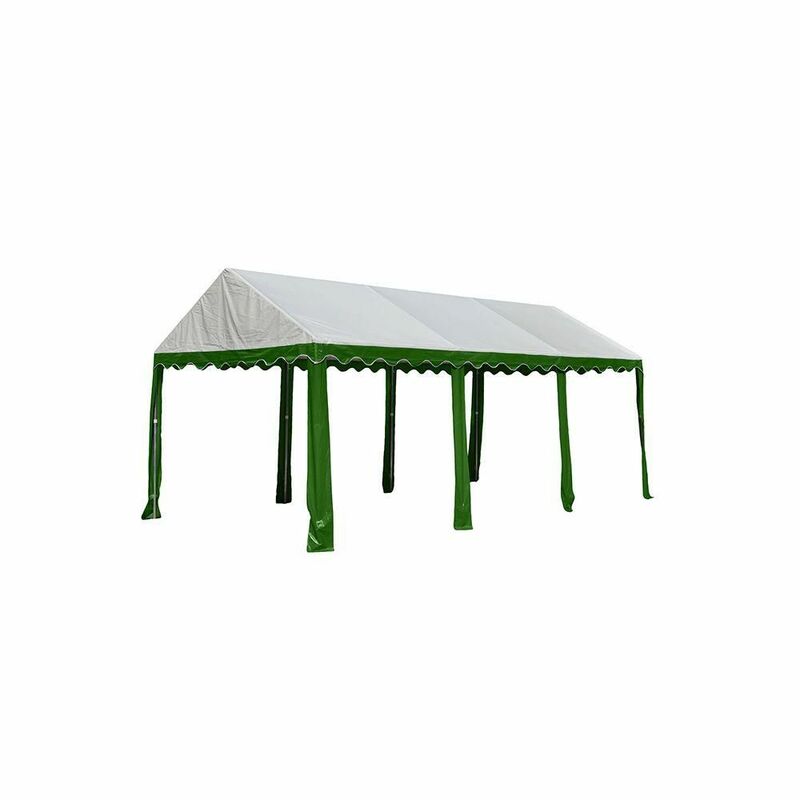 Convert your ShelterLogic 10pi x 20 canopy to a fully expanded 24 pi x 20 Event Tent. Expanded tent goes up or down in minutes with bungee cord fasteners and expansion pole kit. Heavy-duty steel frame design sets up quickly with built-in slip together tubing. Polyethylene cover is 100% waterproof and treated to withstand the outdoor elements. The ShelterLogic Max AP Canopy ClearView Enclosure Kit lets you expand the use of your canopy. Quickly convert your 10 ft. x 20 ft. Max AP Canopy to a fully enclosed shelter with windows in minutes. Using the same quality fabric material as the original canopy, Max AP Canopy ClearView Enclosure is the versatile, low cost canopy accessory.